This post should really have been my very first recipe! However here we are, 76 recipes down the line and I’m being asked all the time, ‘where is your basic green thickie recipe?’. I usually just tell people to make whichever recipe they like, but I do think there is a need to have a very basic recipe that you can tweak to suit your own needs, so here it is, the basic green thickie recipe. A green thickie is a complete meal, not just your ordinary green smoothie. This is because it contains filling carbs so you get your breakfast or lunch all in one glass and don’t have to make numerous meals. We are busy people and I don’t know about you, but I don’t have the time to make myself multiple breakfasts. 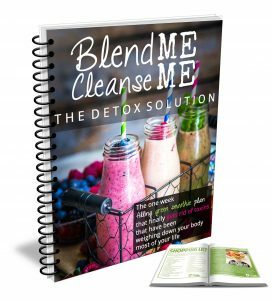 This drink gives you everything you need, your drink, your carbs, nutrients, protein, iron etc. It’s all there. A green thickie is not intended to be a very low calorie drink as it is a complete meal. However you can definitely lose weight by incorporating them into your diet. I think it’s important to get a good number of calories at the start of the day as that’s when we most need most energy and help staving off hunger pangs and cravings for unhealthy foods. 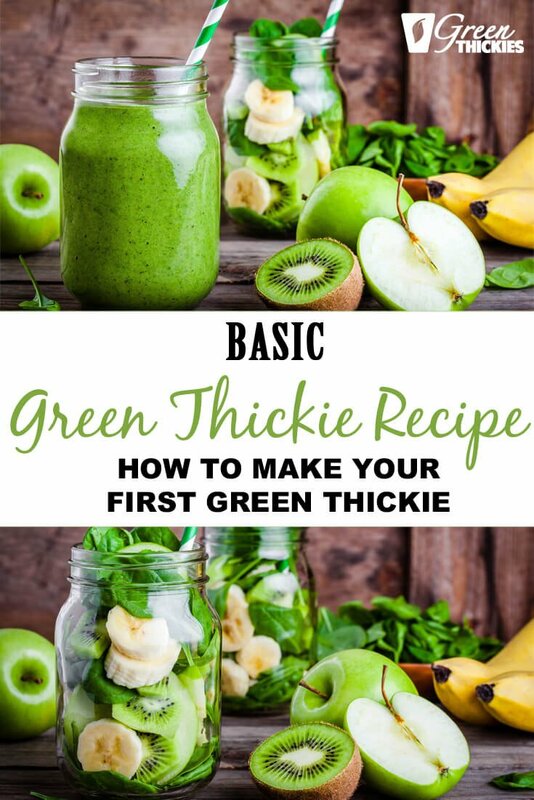 This basic green thickie recipe contains 419 calories. I think this is a good amount of calories for most people to eat for breakfast, but the great thing about them is that you can reduce some of the ingredients to save calories or add in extra ingredients to fill yourself even more. We all have different calories needs so we all need different amounts of food. This recipe is for 2 servings. Each serving is about 1 pint (500ml or just over 2 cups) So you can either drink one for breakfast and one for lunch, save one for tomorrow, share it with someone or if you are extra hungry or need extra calories, drink them both (I often do this). You can also tweak the ingredients to suit your own taste, budget, food availability and nutrients required. You can pretty much put anything in a green thickie and be able to enhance the flavours or hide them. For example, the taste of spinach is hidden as it’s dominated by sweet fruit, but you could add in some more powerful flavours such as mint to make that the most dominant taste. Play around with this recipe, add things in and see what works, and let me know if you’ve got a fantastic recipe to share. 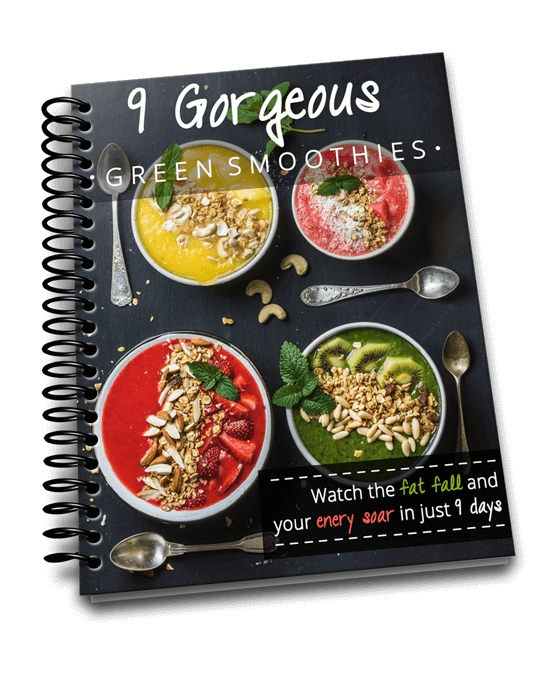 For more ideas on creating your own smoothie you can read this guide on How to make a Green Thickie. 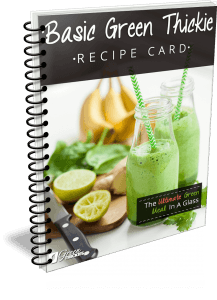 Or you can find my complete selection of Green Thickie Recipes here. More tips: Blending this way allows the dry ingredients to be blended for longest, it means the greens will fit in your blender and your fruit gets less blending so it doesn’t become too hot. Add more water if required to thin it out. Substitute any of the ingredients for whatever you already have. If your smoothie is too warm, you can cool it down in the fridge or freeze some of your ingredients before blending. You can also replace half of the liquids with ice. Add the ice at the end. It is better to add frozen ingredients at the end to cool the smoothie down. *How much should I drink to replace a meal? * – Only use a meal replacement if you’ve added the oats/quinoa. – This Green Thickie serves 2 so you should *DRINK HALF OF THIS RECIPE*. But if you have higher calorie requirements you may need to drink more. What are your thoughts on food combining, and having oats and fruit together in the thickies? I thought that they were not a good combination for digestive health? Hi Ally. This is a very common question that I get asked so I intend to blog about it this week. Stay tuned! Thanks for the inspiration! I added up all the calories from one thickie on “my fitness pal”. It calculated 551 without the seeds and only 1 date. 1 date and water) Am I adding too much stuff? That sounds about right. Green Thickies are supposed to be very filling as they keep you going for a long time. If you want to cut back on the calories just add less oats. I usually use 1 cup of oats for 2 servings of Green Thickies, so if this is just for you, you might want to try just adding half a cup of oats. Yeah…one cup of oats for yourself is way too much. Do you plan on sharing the smoothie? My recipes all serve 2. Thanks for the recipes, I am a new fan! However, I am a bit confused about the energy value. You write that the recipe portion contains 2 servings and 419 calories. So each serving is 491 calories/2 = 245 calories, right? In the nutrition fact box below one serving equals one recipe equals 419 calories! Could you please clear this up for me – and I apologise if I am asking an obvious question! I purchased ingredients at the local supermarket and made a batch per the recipe. I crunched the math based on the nutrition information contained on the packages I bought and it came out to roughly 520 calories per batch, so about 260/serving (not sure why I ended up with 100 more calories than the recipe). Oops! I forgot to factor in the bananas, so it’s more like ~730 calories/batch, or 365/serving. Hi John. I had calculated the calories at 419 per serving (half the recipe) so your smoothie is actually lower in calories than mine. Calories can differ depending on all kinds of things such as type of oats used and size of fruit. Perhaps the Serving Size should say 1/2 the recipe instead? I have a clarifying question… Would the quinoa or oat be raw or precooked? I’m a smoothie-making pro, but I’ve never thought to add oats or quinoa so I thank you for the tip and recipes. I found this recipe yesterday and purchased the ingredients today because I wanted to try it ASAP. I like the flavor VERY much and it is definitely sweet enough with the bananas and dates. My issue is that the consistency feels weird in my mouth and I have to make the conscious effort to swallow it. I came back to the website to see if anyone else mentioned anything like that but then I read about using a vitamix blender to make it smoother. My problem is that I have a regular blender that probably doesn’t blend nearly as well. So I put it back in the blender for much longer. It is a better consistency but it will still take getting used to. Maybe for those with a regular blender like me it may work better with a nut butter and spinach powder to smooth it out a bit more. Your thoughts? I have used similar recipes for a long time and just have a standard blender. What I do is portion the spinach out and freeze it ahead of time. As far as the oats and nuts, I throw them in the blender first and grind it to almost a powder consistency. Then, I throw in the frozen spinach & water and blend until smooth. Then, proceed with the rest of the ingredients. Works every time. Thanks for a great idea, Katherine! I tried one of these a couple of days ago, and am really enjoying it. I never had thought of putting oats in a smoothie, and it really makes all the difference. 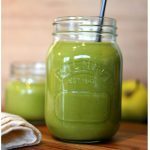 Not only does it make the smoothie more substantial & healthful, but it also balances the assertive flavor of the greens, allowing me to reduce the sweetener. Of course, I tweaked it a little to my personal preferences – I’m using a frozen banana, and omitting the dates (already sweet enough for me) and omitting seeds/nuts (I try to limit my intake of high-fat foods – even healthy fats). Sorry about the redundant posts above! I got an error message after the first one, so re-entered it, not realizing it was posting. Wow, what a great story! Thanks so much for sharing your journey. I’ve gone through phases of enjoying green smoothies, but right now I’m on a weight loss program like the high protein/low carb diet you tried but made you sick. I’ve lost 30 lbs, but I’ve been thinking of switching because of the disruption to my elimination that it has caused. I’m excited to have my first ‘Thickie’ tomorrow morning! Hi, I have extremely bad fibromyalgia/chronic fatigue where I’ve been bedridden for a year and a half. I’m at least 40 pounds overweight and spend my time in bed with my laptop taking Tylenol 3s and meds to sleep. I finally had to resort to ritalin for God’s sakes taken very sparingly (very low dose, not every day) just to have the energy to leave the house. Nothing else works. I have tried to stick to a strict diet, but when you are bedridden, you can’t shop or prepare meals, hence the stimulant. I didn’t even know what to eat anymore as lots of foods make me ill, and I don’t even like anything anymore, so I’d eat junk to comfort myself. I’m writing to tell you that I just made a smoothie after reading your page with stuff I had here! I put almond milk, strawberry, lettuce, quinoa, a banana and walnuts and it’s great! I now plan to eat nothing but smoothies for a while because I wasn’t enjoying any food anyway. Thank you!! hey, im so grateful I found this website. thanks for sharing all these recipes!!! I do just have one question here Am I suppost to drink the smoothies for all 3 of my meals?? or just one a day? I find a good combination of flavor enhancements to my smoothies are raw ginger for spice and lime for tartness. (lemon too). Both are super good for you too. Thanks for the info on how to use oats. I’ve incorporated that into my smoothies and love it. :) I’m now trying quinoa. That’s great, I’m so glad it worked out so well for you. I’ve got more great recipes coming up so make sure you’re subscribed for updates. Wow. This is the first I heard of the green thickie. Can’t to try it with the sweet potato. Thank you for the inspiring reasons! Is it ok to just throw the oats in raw, or do I have to cook them first? Also, How do you blend larger nuts such as almonds without them sinking to the bottom? Yes just throw the oats in raw (they are pre-cooked so that’s perfectly safe to do). If you are struggling to blend nuts you could try either soaking them overnight to soften them or using almond flour/ ground almonds. You could also try just blending the nuts with just enough water to cover them before adding in the other ingredients. So you use dry pre cooked oats.Can you use steel oatmeal? What about quinoa. Is it cooked first? Yes you could use steel cut oatmeal but I would soak it first – the same with quinoa, either cook it or soak it first. I’ve made the thickies a handful of times and a have tried steel cut oats and quinoa. I CANNOT STAND the taste lol. And they are so thick I have trouble swallowing it :( apparently thickies are not my thing. I’ve found during a 10 hour shift at work I drink about 2.5 liters of fruit/plant smoothies. No oats for me. Anybody have a suggestion on something else to mix in to make them thicker and more filling? Natural would be nice… I’m not a fan of protein whey powders. I’m going to use Quinoa instead of oats….is it cooked first…..also it seems very high in sugar…what can I do to alleviate that much sugar…I’m a diabetic…..
for example, i made this smoothie today, and drink the 1st half. can i still consume the second half the day after? I am a fan!! Sooo glad I came across this recipe! For my first time, I used: GF quick oats, peanut butter, banana, raisins, chia seeds and a bag of mixed greens. YUM! Oh and cinnamon! Hey! I am relatively new to your blog, but I am IN LOVE! I have made these basic green thickies for the last 4 days and they rock. My only concern is I’m not filling up, and end up drinking the entire batch, and find myself searching the kitchen an hour later. I’m 5ft 1in and 140lbs. A little extra cushion, but nothing that I would expect needing extra carbs and calories. I tried your Sweet Banana Pie smoothie (A-MAZING!) and while it cut my cravings, I was not full, even after the full batch. Any ideas? I HATE being hungry, and I absolutely see my bad decision making as it’s happening, sitting in the back of my mind, shaking my subconscious head at myself. But really. I want this to be so bad. I went out today and stocked up on everything I will be needing, (have you tried Pacific’s Hemp Milk?? My all time favorite!) and am about to make your chocolate covered marzipan as a thickie and am stoked! I noticed the picture says one cup of spinach and the directions say 2 cups spinach, which is it? thanks! Try one cup to start with and if you find that ok increase to 2 cups. Hello. I have a question. Why should we not use roasted/salted nuts? Besides the sodium content I mean. I’m doing this on a major budget and the cheapest nuts were roasted and salted. I was just going to rinse off the excess salt before using the nuts. But I’m wondering what the roasting does that is undesirable? Thanks in advance. I’m going to try it this morning with the cheap nuts, and if I like it then I will spring for the more expensive raw nuts. Which, by the way, I don’t understand why they are more expensive if they have to do LESS to the nut (i.e. no roasting and salting). LOL! Thank you! I usually prefer to substitute healthy fats instead of carbs and sugar – usually in the form of a little bit of coconut oil or MCT oil (although avocado or grassfed butter can make certain recipes very interesting!). I find that my focus and appetite are much better managed when I don’t have all of those carbs and sugars in the morning. Plus I get to save my allotment of carbs for right after the gym when by body is craving them most! Do you ever add coffee to any of your recipes? I like to add a little bit of cold organic coffee into some of mine every now and then, yum! I’m guessing the rolled oats can be used raw, but if using buckwheat, sweet potato or quinoa, those should be cooked- that right? Would I be wrong if I used raw honey in place of bananas? I would assume that it would be less thick. It would completely change the nutrition, removing some of the fats and nutrients and increasing the carbohydrate content. However, if you’re not cutting back your sugars, why not try and let us know how you get on? My partner can not eat bananas or cucumbers and i would lije him ti try these smoothies. What fruut would i use instead if bananas. Would coconut flour be a good nutritious filler for a green thickie? I make my own coconut milk with organic shredded coconut. I blend the coconut with water, squeeze out the liquid through a nut milk bag and I dehydrate the pulp until it is good and dry and then grind it up to make the flour. I was wondering if I could then use this flour as a filler. Hi Peggy, that is an interesting question – why not try and let us know how you got on? I’m really interested to know if you’ve discovered a new filler! 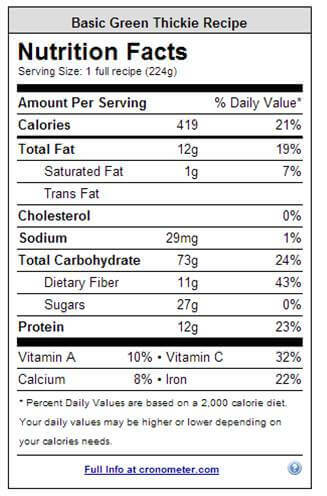 Just wanted to mention here that All calories are not equal. I read so many comments obsessing about the calories! 420 calories, 550 calories who cares! You’re eating one whole meal full of fresh produce & healthy fats. stop with the calorie obsession people. Hi Katherine is it ok to add organic Barley powder to this smoothie? Could I use granola in places of the seeds and oats? You could but be aware a lot of granolas are full of artificial sugars, they also often do not contain the beneficial oils which seeds do so it will alter the nutritional content and may not be as healthy. I would listen to your own body. I personally think leafy greens are the single most important ingredient for humans, but that’s just my opinion! How about green thickies and breastfeeding? How long can I just drink the thickies. Thank you. I did breastfeeding and drank Green Thickies and it was the best thing I ever did for me and my babies. I would suggest only drinking Green Thickies until you start craving vegetables, but if you are breastfeeding I would eat balanced dinners too to get different types of nutrients in your diet. Thanks for the recipes. Please I always use banana, spinach, low fat milk and yogurt for my smoothie. Please is the combination good for me because I want to lose weight. I would personally avoid any dairy milk and would use a non dairy milk and non dairy yoghurt like a coconut yoghurt instead as this will be much better for your health and help you lose weight faster. With Bragg’s Apple Cider Vinegar being a popular addition to daily diets and health conscious meals, would there be a way to incorporate a certain amount of acv into the smoothie? How much do you think should be added? 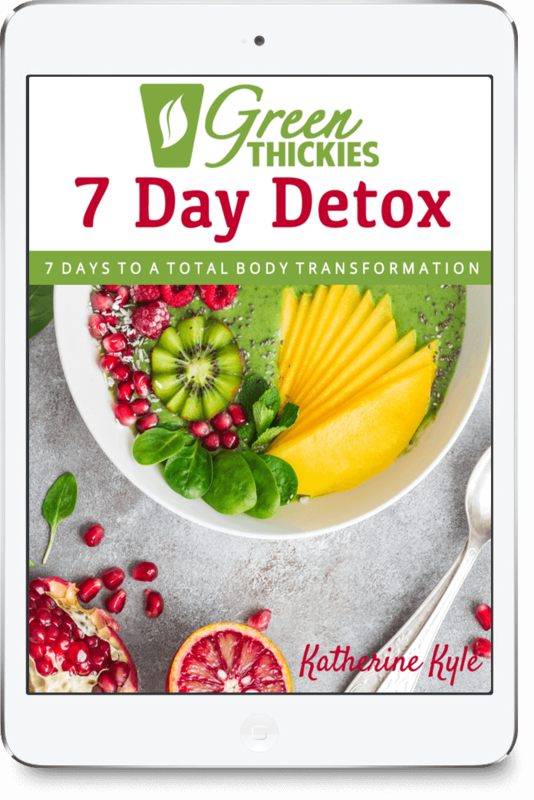 I am seeing that 1-2 tablespoons per day added to 8 ounces of water and if you add it to anything else, make sure the drink is cold when added. 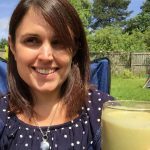 Do you think the taste of the green smoothie would cover up the ACV if added after the smoothie was complete and cold? Good question! I’ve never actually tried it because if I don’t like the taste of anything I don’t put it in my Green Thickies for fear of having to throw away the whole lot. I prefer to quickly swallow my ACV or add it to a salad dressing as I think it might be too overpowering for a Green Thickie.